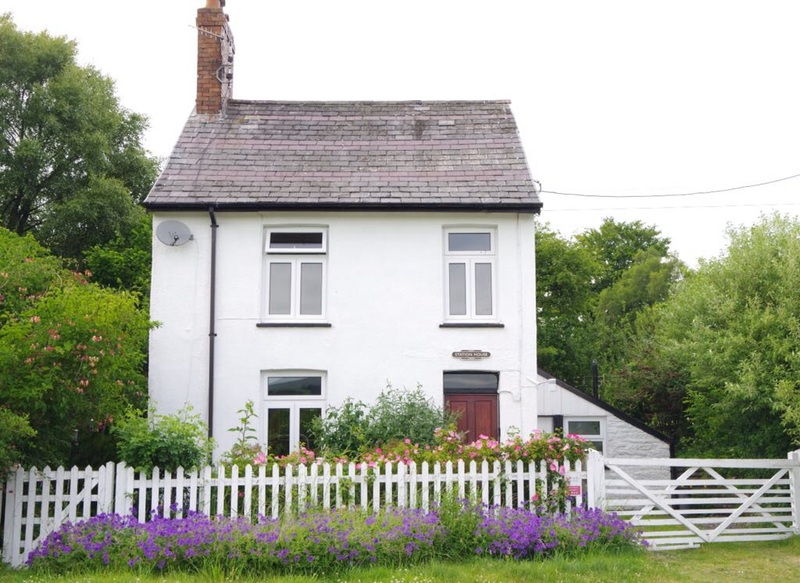 Station house is a property full of character built in 1871 for the Station Master of Strata Florida Railway station. Sleeping 4 in two bedrooms, the master bedroom has stunning views over the Cambrian Mountains and Cors Caron National Nature reserve. £315 to £539 per week, short breaks available out of high season. Ideal for nature lovers, bird spotters (hides located on Nature Reserve), walkers and cyclists with miles of walks along the old railway line / Ystwyth Trail right out of the front door! Station House is self-catering however we will supply you with enough washing up liquid, dishwasher tablets, bin bags, hand soap and toilet rolls to get you started. You will be greeted with a complementary welcome pack including tea, coffee, sugar, milk and a local treat! Lounge Area - A good sized comfortable sitting area with wooden floors and four seat leather sofa. Dining Area - The dining area contains table and seating for 4 oil burning rayburn providing the central heating for the house. Kitchen – The kitchen is compact but well equipped with table top dishwasher, fridge freezer and microwave, along with a full oven and hob. Every effort has been made to ensure that the kitchen is equipped with everything that would be required for a comfortable stay at Station House. 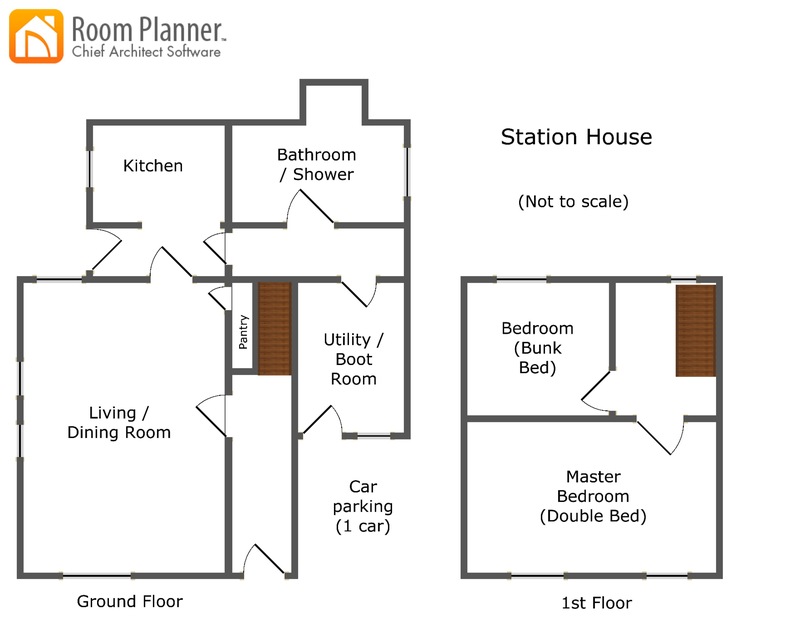 Bathroom - Includes bath with shower head and seperate shower, toilet and wash basin. Laundry/Drying Room - Situated in the outer corridor for the use of guests for washing/drying clothes, which also contains a tumble dryer. Master Bedroom – With stunning views over Cors Caron Nature reserve and the Cambrian Mountains the main bedroom has large double bed. Travel cot available, please ask. Linen and towels are provided, please bring your own beach towel. Second Bedroom - Sleeping two in an adult sized european sized bunk bed to give that little extra room. Garden - The house has a small garden area and gated yard to the side of the house mainly laid to lawn but with trees, fruit trees and bushes. Parking – There is off road parking space for one car. Electricity and Central Heating - Electricity and central heating is included. Change Over - Change over day is Friday for weekly stays. Weekend breaks and Mid week breaks also available out of high season. Arrival time is after 5pm and departure time is 10am.